Equiinet's total solution for businesses gives you the opportunity to earn profits from day one. Partners choose Equiinet because our innovative solutions are deployed through a single gateway device and managed remotely, combining the best of on-premise and cloud services. It’s simple, reliable and affordable for business owners and managers to use for communication and growth. Our program is built on competitive upfront and residual commissions, incentives, and discounts. Join us as we change the way businesses view and use managed services. Communicate with customers, vendors, and partners with scalable, reliable, and customizable IP voice. Experience clean and clear calls with Equiinet’s embedded Quality of Service (QoS). Maintain a reliable connection for credit card transactions by processing with Failover. If your business loses network connectivity for any reason, Equiinet automatically and seamlessly redirects your primary broadband connection to an alternate Internet connection, providing you with maximum up-time and minimal business risk. Guard your internal network against malicious access from the outside and limit access to certain sites for internal users. Secure your data from intruders attacking your cloud applications and your on-premise devices. Easily back up all your computers, keeping your confidential and office information safe with the ability to restore a file from some day in the past. You also have the option of using off-site storage to give yourself that extra confidence that your data is safe. It is imperative to provide a solution – cloud or premise-based – that ensures the highest quality service. Equiinet’s total solution comes with built-in Quality of Service (QoS) and proprietary software improves communication, efficiency, and security. Earn best in the industry commissions, residuals, and incentives that reward your hard work. Our goal is for you to be a profitable business partner. Earn the ﬁrst month’s payment upfront and up to 20% recurring. Equiinet has a unique approach to SMBs quality-cost dilemma by deploying our own gateway device and delivering a subscription-based managed service – customers do not have to buy, install, or manage the edge device. Plus, Equiinet’s advanced monitoring provides you information on the performance, availability, network connectivity, and security of your customer’s services. Monitoring of services uncovers issues before they impact operations. Equiinet’s primary differentiator is a fanatical level of customer service and support. We answer the phone to assist partners and customers, 24/7. We equip you with technical documentation, one-on-one training and certification to ensure your success. Our exceptional channel team is ready to support you at every stage of the sales and on-boarding process. Equiinet’s latest product, justINA, builds upon Equiinet’s plethora of successful appliances and uses highly integrated converged technologies such as Voice over IP (VoIP) and Network Security, together with sophisticated Quality of Service (QoS) techniques to provide combined voice and data communications solutions for institutions and businesses. TINA provides organizations with legacy phone systems a platform with which to make voice calls over an IP network (VoIP). 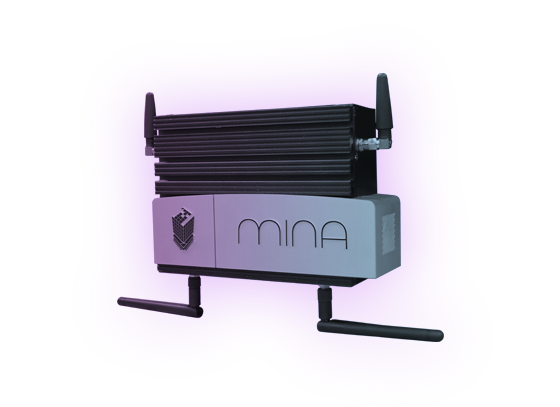 TINA has a built-in PRI that integrates with traditional business phone systems so you do not have to dispose of your existing equipment infrastructure. have to dispose of your existing equipment infrastructure. Equiinet’s Channel Team is proud to share the Jumpstart Program with new and existing partners who wish to launch or re-launch with Equiinet. The Jumpstart Program is designed to gear up our partners faster so that they are able to take Equiinet to their market faster. Here is the best part about the program: our channel marketing team puts everything together for you! There is zero risk involved, and you can experience a true partnership with the new channel experience. To get everything kicked off we just need a 30-minute conversation to discuss your current marketing strategies. Send Us Your Info and our channel Manager will get in touch with you.